This is an environmentally, chlorine free "greener" version of the Aprilaire 1770 dehumidifier that runs on environmentally-friendly R-410A refrigerant and removes up to 150 pints of moisture per day from your home. 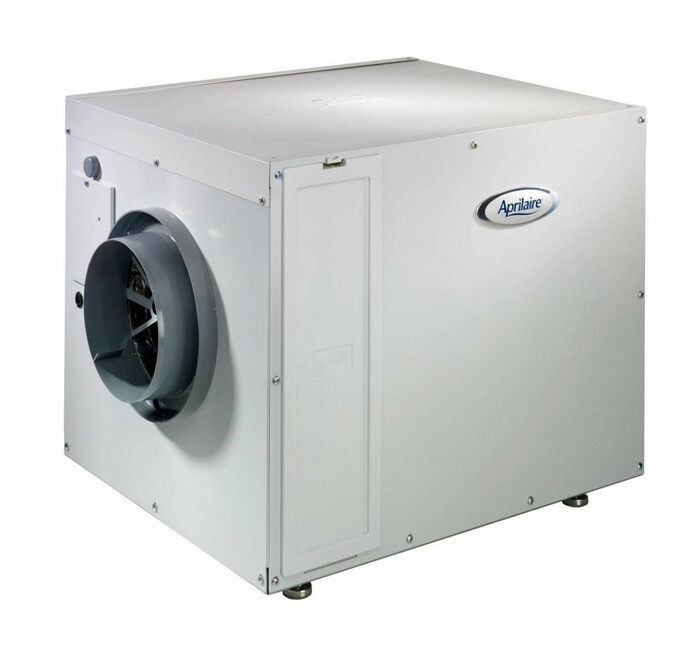 The 1770A whole-house dehumidifier works throughout your entire home, covering 5,400 square feet. It removes 50% more water per kilowatt hour than leading portable dehumidifiers, and features truly automatic control, so there is never a need to manually control the dehumidifier. Just set it once and forget it! Removes just the right amount of moisture for ultimate comfort and peace of mind. And it works throughout your entire home, not just in one room like noisy, messy portable dehumidifiers. In addition, it lets you dehumidify a separate area of your home where there is more humidity build-up; like your basement or a crawlspace. DiscountfurnaceFilter.com is the web's #1 source for the Aprilaire 1770A Dehumidifier. Order your Aprilaire 1770A Dehumidifier today and receive fast, efficient, FREE SHIPPING! If you have questions or need additional information about the Aprilaire 1710A Dehumidifier, please call our Customer Service department at 888-623-4678 or Click Here to contact our Sales Department.